Home Common Mistakes ‘Used To’ : How To Use It Correctly? Some say that ‘Used to‘ is a phrasal verb while some say it’s a modal verb. Well, whatever it is, it’s surely one hell of a confusion. OKAY, let’s not get into the technicalities and try to understand the usage of this expression in a simple way. 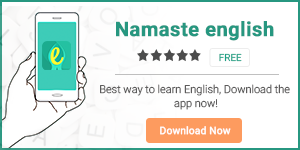 USED TO एक ऐसा English expression है जिसका हमने आम बोल चाल में काफी बार प्रयोग किया भी है और लोगों को करते सुना भी है, मगर हम में से कुछ अभी भी इस confusion से घिरें हैं कि इसका सही इस्तेमाल कैसे किया जाता है? One of our readers asked us to write a blog on this topic which made me realize that how often these simple expressions can cause a stir in the minds of a learner. • Before marriage, I used to go out with my friends every weekend. • I used to do theatre in my college days. • She used to like Sam but now she hates him. NOTE: Again, use infinitive form of the verb – live, like. • I’m used to studying newspaper every morning. • I’m used to sleeping late on the Sundays. • I am used to London’s cold weather now. • I have become used to his short-tempered behavior. NOTE: Always use an ‘auxiliary verb‘ with the subject = He is, I am, They are, She has, They have, etc. • If you live in England, you will get used to driving on the left. • You should drink alcohol in moderation or else you will get used to it. In a nutshell, we can talk about things in the past or the future, as well as the present, using this expression. Click here to learn how to use could in different situations.